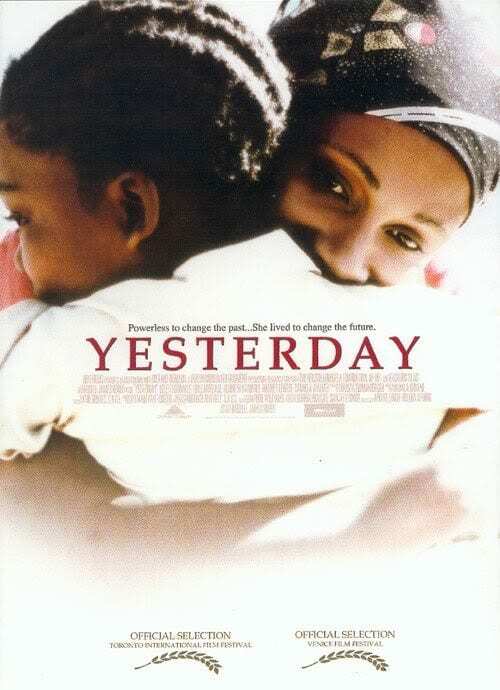 “Yesterday” stars Leleti Khumalo as Yesterday, a farm woman in a Zulu village, who discovers she is HIV-positive and has to cope with her illness, with her dying husband and with her little daughter for whom she has such dreams. This powerful and moving film is about Yesterday’s hope and her courage in conveying information about AIDS in a country where it is widely misunderstood. Powerless to change the past…she lived to change the future.